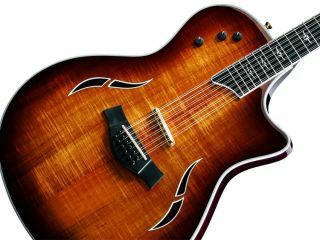 Fender Musical Instruments Corporation has announced the creation of Taylor Division within Fender Europe - to exclusively distribute Taylor guitars in Africa, most of the Middle East and of course, Europe. The partnership is expected to commence on July 1 2008, with original distributors Sound Technology continuing to deal with the brand until then. The reason Taylor decided to leave Sound Technology - its distributor in the UK for many years - is unclear, apart from Taylor obviously wishing to emulate the success of Fender's existing overseas sales model. Kurt Listug, co-founder and CEO of Taylor Guitars commented: "Having the opportunity to work with Fender, leveraging their resources and experience into much higher European sales for Taylor, is the best decision."